The Eyeline range of wall and ceiling mounted screens are extremely popular, due to their ease of installation, use and durability. 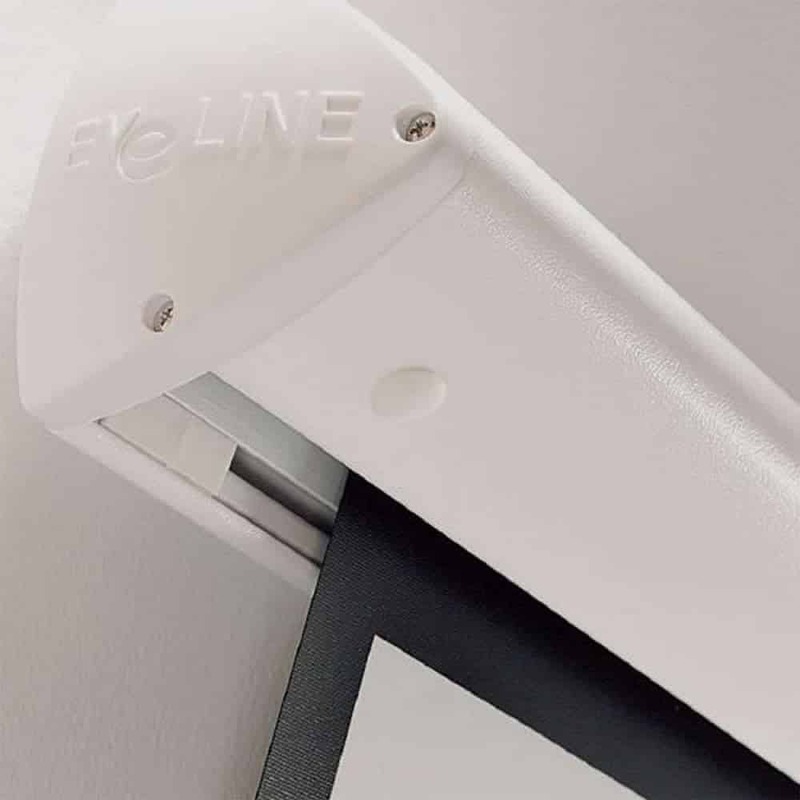 The stylish Eyeline Projection Screens are completely install friendly, with the patented ‘click on – click off’ fixing bracket. 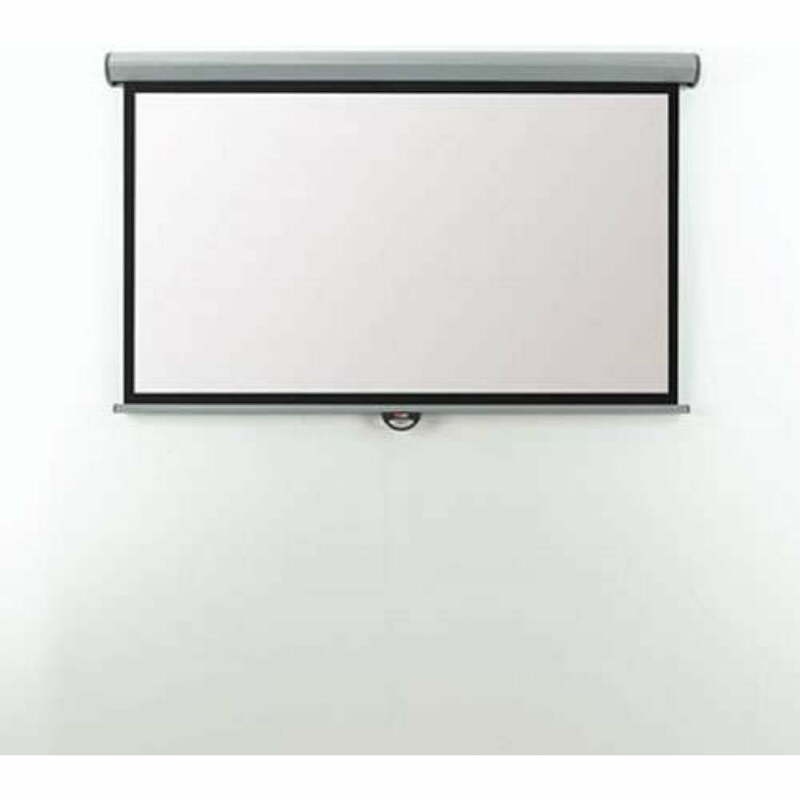 Brackets can be placed at any length along the screen case, making the screen ideal of mounting on studwork or plasterboard walls. Both wall and ceiling brackets are included. The crisp, clean matte white screen has a sharp black borders surrounding it on all four sides, giving the ability to project onto the whole screen without worrying about messy overlap. The non-reflective black border will disguise any overlap of the projected image. 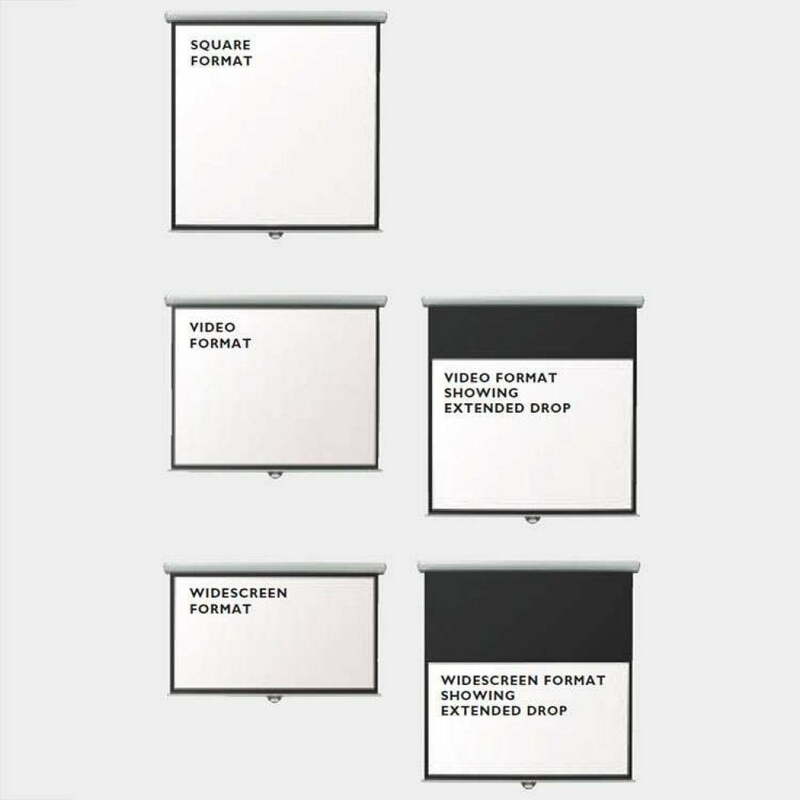 The screen case comes in cool white; the contemporary curves of the case mean it will fit in a vast array of environments, from meeting rooms to exhibition displays. Great projector screen. Electric screen is fantastic.